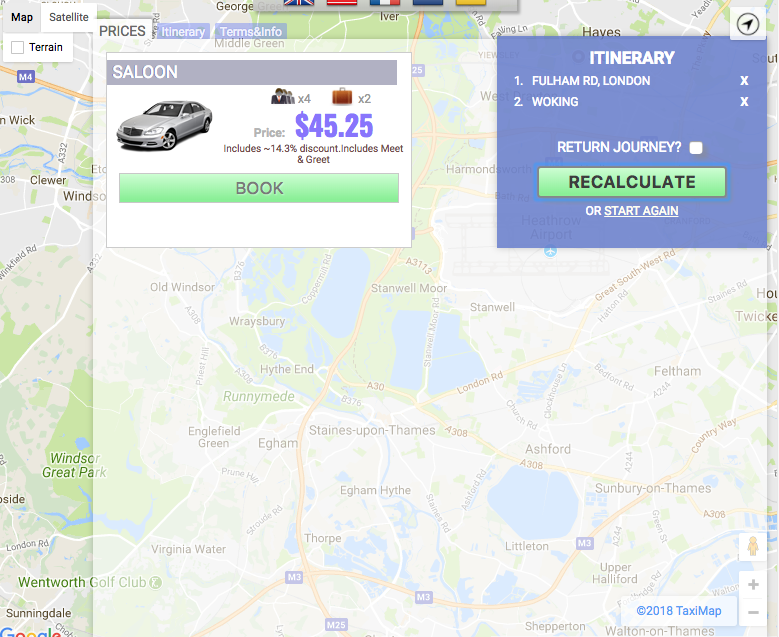 When a fare price calculation is requested, TaxiMap will return two prices by default. One for the main (default) vehicle, and a second price calculated using the ‘Size Factor’ setting (under the SETTINGS tab on the PROFILE page). Typically, this is set to something like, ‘1.5’ so if the standard price is calculated as £10.00, the secondary vehicle price would be worked out as £10.00 x 1.5 = £15.00. Greater control still can be applied through the CARS page where settings for individual additional vehicles can be specified. However, it may be that only one vehicle price is required. There are certain criteria that must be met in order to suppress the secondary (and any subsequent) vehicle prices. Firstly, the main SIZE FACTOR setting under the SETTINGS tab on the PROFILE page must be set to ‘0’ (zero, without quotes). 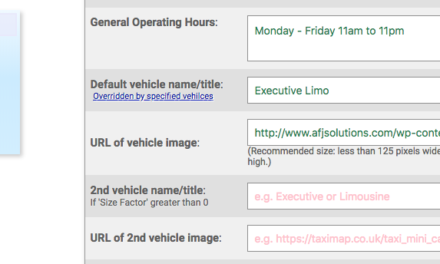 Then, there must be no vehicles defined on the CARS page (under VEHICLE TYPES). The price will be generated using settings specified in the main PROFILE alone, and if the above criteria are met, only one vehicle and price will be displayed. Also see: How to set name and image for default vehicle.